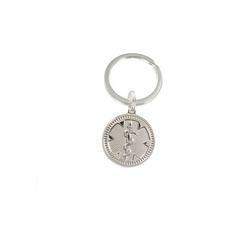 Sterling Silver Medical Id Key Chain is great for all ages.. The medical Medallion is 3/4" in diameter. Custom engraved with 4 lines.